Endometrial cancer forms in the lining of the uterus and typically strikes in peri-menopausal or post-menopausal women, likely due to a shift in hormones and the subsequent rise in estrogen/progesterone ratio despite decreasing hormone levels overall. 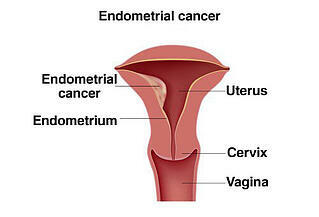 We’re also seeing a rise in endometrial cancer due to increased obesity rates which also increase this estrogen effect. In fact, obese women are also more than three times at risk for this disease according to the American Cancer Society. Conversely, protective factors that can decrease the risk of endometrial cancer include long-term use of birth control pills and pregnancy. It’s also important to note that some women with endometrial cancer don’t have any of these common risk factors. Unlike cervical cancer, there is no universal screening for this cancer. 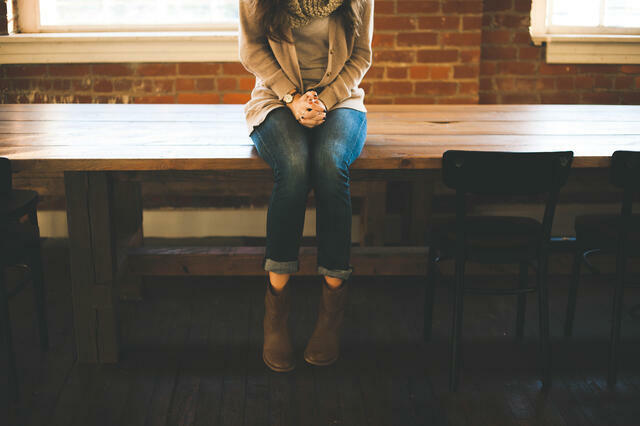 However, women should see their doctor immediately if they experience unusual or abnormal vaginal bleeding. This includes irregular spotting between periods, heavier menstrual cycles, prolonged menstrual cycles, irregular menstrual cycles or any bleeding after menopause. Patients should maintain a healthy weight and to pay attention to changes in their menstrual cycle, including any abnormal, vaginal bleeding. If you notice any of these symptoms, come in for evaluation and treatment as endometrial cancer can often be prevented even before it occurs. Fortunately, if caught early, most women can be cured by minimally invasive surgical intervention. At the end of the day, save your life and the lives of your friends and loved ones. Tell them to pay attention to their body, heed any warning signs, and don’t hesitate to see a doctor with any concerns. If you need a gynecologist or other physician, please use our Find A Doctor tool to locate a provider in your area. Dr. Mona Orady is currently the Director of Robotic Surgery Services at Dignity Health Saint Francis Memorial Hospital in San Francisco. Dr. Orady practices at Dignity Health Medical Group - Saint Francis/St. Mary's on Hayes Street.